Ever wonder if there is treasure buried in that old barn? Well now is your chance to try out the exciting hobby of metal detecting. 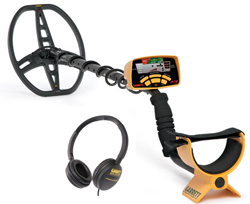 Find old coins, search for rare metals, or go beach combing using the Ace 350 Metal Detector. Remember always respect property rights and be aware of state and local laws governing treasure hunting.